The Walsh Gallery at Seton Hall University presents “Marking Territory,” a group exhibition co-curated by Alycia Piazza and Erin Healy, graduate students in the university’s Museum Professions program. 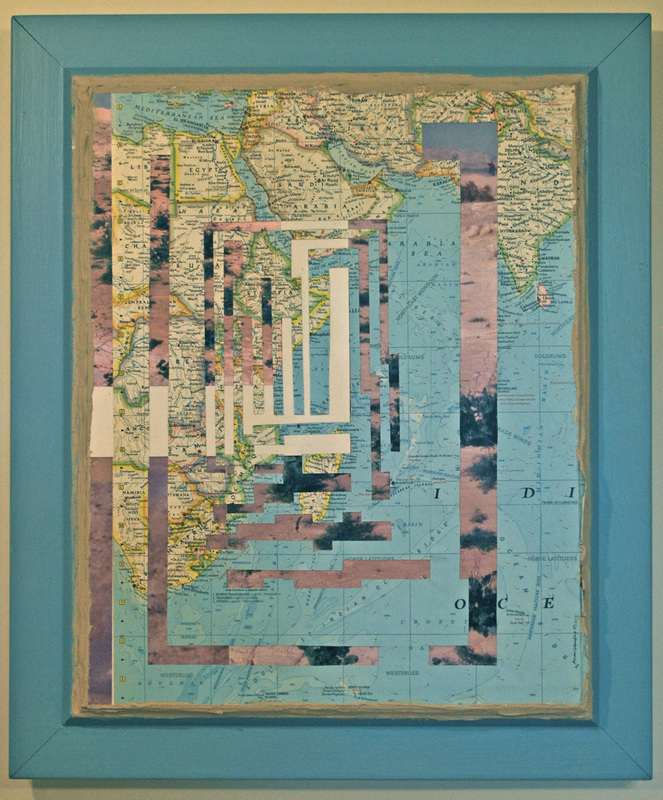 The exhibition features artworks created with repurposed maps, enabling artists to explore a variety of socio-political implications. The exhibition includes metropolitan-area artists Aileen Bassis, Wenye Fang, Joshua Knoblick, Zannah Marsh, Disnarda Pinilla, Nyugen Smith and Mimi Weinberg. Their diverse backgrounds and perspectives stimulate a dialogue on the implications of superimposing lines on land. Maps drawn by cartographers and artists have influenced the human understanding of the world from their inception. Maps are not static objects, they are ever-changing to reflect the knowledge, beliefs and circumstances of the people who use and create them. “Like many official documents, maps are something we often take at face value — an essential truth. But as this group of artists demonstrates, maps are far more than simple diagrams or way-finding tools” say co-curators Piazza and Healy. 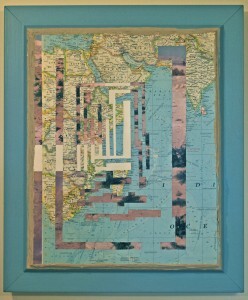 The artists involved in “Marking Territory” have used a variety of media to manipulate maps and highlight themes potentially lost between the lines. Topics addressed in the show include colonialism, identity politics, economic growth and decline, biology, memory and social interaction. For 150 years, Seton Hall University has been a catalyst for leadership, developing the whole student, mind, heart and spirit. Seton Hall combines the resources of a large university with the personal attention of a small liberal arts college. Its attractive suburban campus is only 14 miles by train, bus or car to New York City, with the wealth of employment, internship, cultural and entertainment opportunities the city offers. Seton Hall is a Catholic university that embraces students of all races and religions, challenging each other to better the world with integrity, compassion and a commitment to serving others. Seton Hall University is located at 400 S. Orange Avenue, South Orange, New Jersey, 07079. The Walsh Gallery is open 10:30am to 4:30pm Monday through Friday. For more information, see www.shu.edu or call the Walsh Gallery at 973-275-2033. All events are free and open to the public.